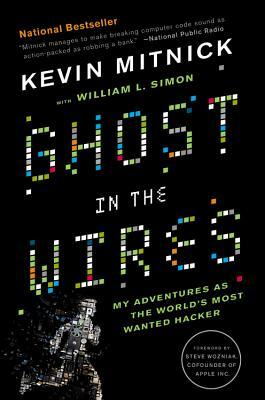 Kevin Mitnick was the most elusive computer break-in artist in history. He accessed computers and networks at the world's biggest companies--and no matter how fast the authorities were, Mitnick was faster, sprinting through phone switches, computer systems, and cellular networks. As the FBI's net finally began to tighten, Mitnick went on the run, engaging in an increasingly sophisticated game of hide-and-seek that escalated through false identities, a host of cities, and plenty of close shaves, to an ultimate showdown with the Feds, who would stop at nothing to bring him down. Ghost in the Wires is a thrilling true story of intrigue, suspense, and unbelievable escapes--and a portrait of a visionary who forced the authorities to rethink the way they pursued him, and forced companies to rethink the way they protect their most sensitive information. Kevin Mitnick, the world's most famous (former) hacker, is now a security consultant. He has been the subject of countless news and magazine articles and has appeared on numerous television and radio programs, offering expert commentary on information security, and he has testified before the United States Senate and written for Harvard Business Review. Mitnick is the author, with William L. Simon, of the bestselling books The Art of Deception and The Art of Intrusion. He lives in Las Vegas, Nevada.